Researchers at Ohio state university have found an eco-friendly alternative to petroleum-based filler carbon black currently used by industries in the manufacture of tires. They are using egg shells and tomato skins as fillers in the manufacture of tires. A typical tire is composed of 30 percent carbon black that is used as a filler and provides durability to the rubber. In the tests, the new fillers exceeded industrial standards of performance and offer hope for sustainable and eco-friendly tires in the future. 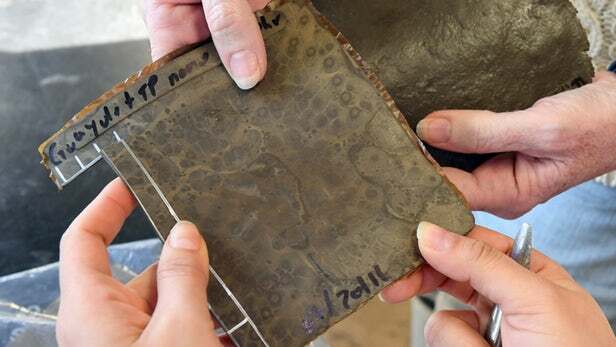 According to Katrina Cornish of Ohio state university, this new method makes the rubber tires more sustainable, reduces the dependence on foreign oil and also keeps waste out of landfills. Egg shells and tomato skin are obtained as industrial waste, they then dry the eggshells and tomato skins and ground to powder. When they add the powder to rubber it makes the tires stronger and flexible. The egg shells particles have a large surface area that allows for greater contact with rubber. The tomato skins contain tough fibers and are also stable at high temperatures. However, the newly made tires do not look black as the conventional tires but rather are reddish brown. The researchers are now testing different combinations and ways to add different colors to the materials to make it appear blacker. The university has licensed the patent-pending technology to Cornish’s company, EnergyEne, for further development.